Urban legend, perhaps spurred by the name, credits the Mongols with the creation of the raw beef delicacy called steak tartare. As the story goes, Tartar horsemen would wedge pieces of raw horsemeat underneath their saddles to dine on still raw but nicely tenderized at the end of a long day. Written culinary history suggests a less intriguing but more likely explanation of the name's origin, attributing it to the classic French accompaniment to a scoop of raw beef, tartar sauce. But clearly appreciation for finely chopped beef spans both cultures and centuries. Take the idea of tartare to the fire, and voila! Hamburgers. It was actually a bit more circuitous route from the grill to the bun. 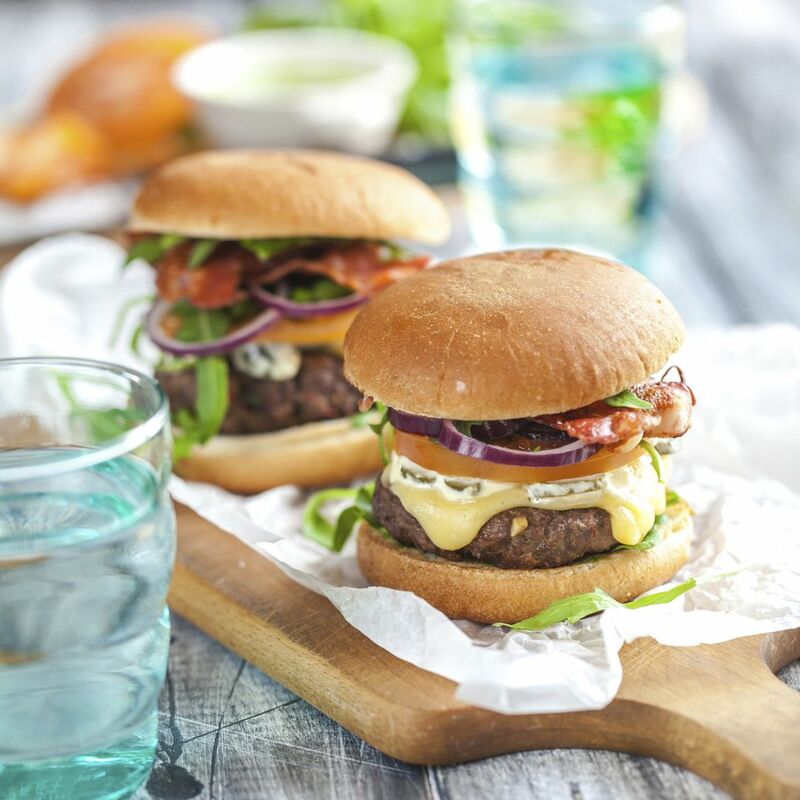 The term "hamburger" derives from the name of the city of Hamburg in Germany, known for exporting high-quality beef. It first showed up in print in 1834 in America on the menu at New York's Delmonico Restaurant, where the chopped and formed "Hamburg steak" was a prominent item. In the late 19th century, Dr. James Henry Salisbury used chopped beef patties to cure Civil War soldiers suffering from camp diarrhea. Dr. Salisbury advocated eating cooked beef three times a day for a healthy constitution. The term "Salisbury steak" appeared in print in 1897 and the seasoned and broiled patty is considered a forerunner of the modern hamburger. The story behind the introduction of a bun isn't quite as clear. Brothers Charles and Frank Menches claimed credit for its creation when they ran out of pork sausages at the Erie County Fair in 1885 and substituted beef in their sandwiches. But food vendors in Texas, Wisconsin, Oklahoma, and Connecticut also proclaimed themselves the inventor of the beef patty on a bun. Enthusiasm for America's favorite sandwich really took off at the 1904 St. Louis World's Fair. Americans in the 21st century eat more than 40 billion hamburgers each year. Americans often use the terms "ground beef" and "hamburger meat" interchangeably when discussing bulk ground beef as opposed to already formed burgers. Outside of the United States, ground beef is referred to as "minced beef," "beef mince," "mincemeat" or simply "mince." What Is the History of the Pumpkin? How Has Eggnog Changed Over the Years?